James joins Melody Cedarstrom on the Financial Survival radio show for their regular, bi-monthly conversation. This time we discuss the disappearance of free will and the rise of Big Tech, the demographic crunch in Japan, China’s belt and road diplomacy, and the recent crisis in Kashmir. 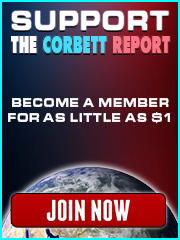 http://www.corbettreport.com/mp3/2019-03-21%20Financial%20Survival.mp3 James joins Melody Cedarstrom on the Financial Survival radio show for their regular, bi-monthly conversation. This time we discuss the disappearance of free will and the rise of Big Tech, the demographic crunch in Japan, China’s belt and road diplomacy, and the recent crisis in Kashmir. James Corbett joins Melody Cedarstrom and Alfred Adask on the Financial Survival radio show to discuss the economic issues facing and shaping Japan, from demographic winter to debt crisis to Abenomics. We also talk about the Fukushima disaster, the Chinese-Japanese tensions over disputed islands, the “New Cold War” between Russia and NATO, and the price of gold. 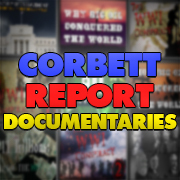 This week on his weekly appearance on Radio Liberty, James Corbett discusses the gold bounce that has occurred since last week’s manipulated plunge. James and Dr. Stan also talk about the demographic winter that is increasingly afflicting the industrialized world and take calls from callers on the economic and geopolitical fallout from the Boston bombing hysteria. Japan’s Emperor is Abdicating. Here’s What It Means. 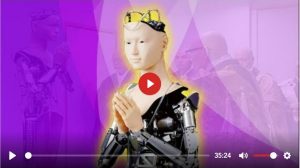 Do Humans Have Free Will? Not If Big Tech Wins! https://www.corbettreport.com/mp3/episode339-lq.mp3 Renowned scientist Paul Ehrlich has been in the public spotlight for half a century now. But there’s a question at the heart of the story of Ehrlich’s unlikely rise to prominence. A question that must be answered. Why is it that this entomologist has become such a superstar of science, received so many accolades and awards, and wielded such influence over the public conversation on population despite being so remarkably, consistently, staggeringly wrong about the issues he presumes to lecture the public on?